The Night Bazaar in Chiang Mai offers many handicraft products, t-shirts, and other souvenirs. This market near the Loi Khro road should be the main attraction of Chiang Mai in north Thailand. Every evening from about six o’clock there are hundreds of booths who offer beautiful and handmade souvenirs of the hill tribes from this part of Thailand. Another reason to come here is the food. 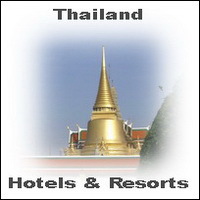 Many booth offer delicious Thai, Isaan, Indian… food for a good price. As well the cheap fruit shakes are cheap and very healthy. If you like western food than should be O’Malley’s Irish Pub or Daddys Restaurant the right choice for you. Take the bait of the exhalation around the food area of this historical market. 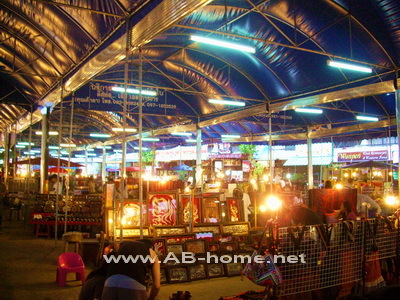 On the Night Bazaar you will find for sure the right souvenirs of your trip to north Thailand. Every Sunday afternoon till late is in central Chiang Mai a big market direct in the center of this great city in Thailand. The whole Ratchadamnoen road from Tha Phae to Wat Phrasingh is close for cars, bikes and scooters. This is a perfect bargain for tourists who like to buy some handicrafts of the hill tribes, handmade adornments and many other souvenirs. The temple markets around the market offer nice and cheap local food. If you like to rest by a fresh coffee than you are right at Black Canyon, Doi Chaang or the Ratchadamnoen Cafe in the middle of the market. For fresh juices and healthy drinks i can recommend the Juice Box on the Ratchadumnern street. 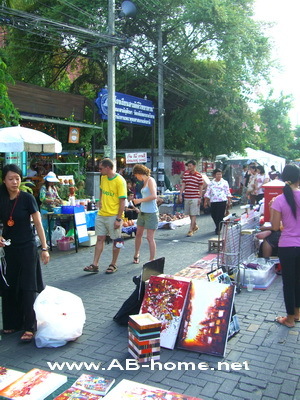 This market is a nice option to walk a bit on every Sunday in Chiang Mai as well when you don’t want to buy something. If you stay at Chiang Mai in Thailand on a weekend it’s a “must see” sight for all backpackers and tourist who stay here for traveling or on holidays. The Walking Street in CM is my favorite market here in Chiang Mai and in whole Thailand. What a great photo, looks swell. April and it’s raining in Chiang Mai even more aamizng. I hope I don’t live to regret saying this but I’ve never had any stomach problems in Thailand only mandatory chest viruses brought on by the dreaded air condition due to me being a chain smoking asthmatic. Reading your Chiangmai posts brings back many great memories, Wilai and myself are heading there for four days ourselves next month. Thanks for the taster.Martyns last blog post..